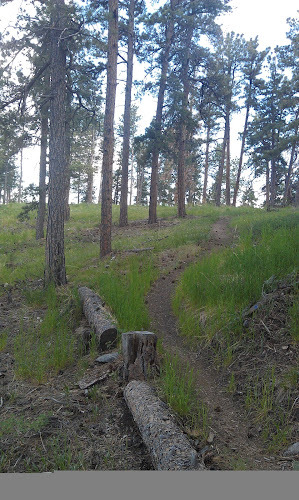 I was fortunate enough to spend about 3 hours on the trails at Lory State Park this past Tuesday evening. Lory State Park has beautiful trails and I always enjoy getting into the higher elevation habitats. 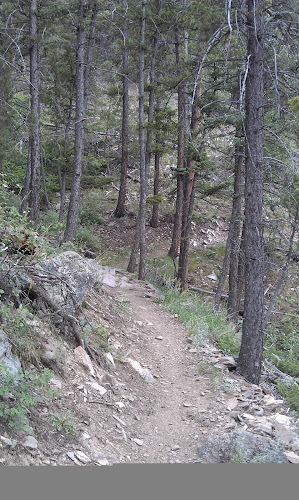 I snapped a number of photos while I was out on the trails, have a look at a few of them. I noticed a couple of things while I was on upper Timber trail and Westridge trail that really caught my attention and relate to my goals for Trailcology. 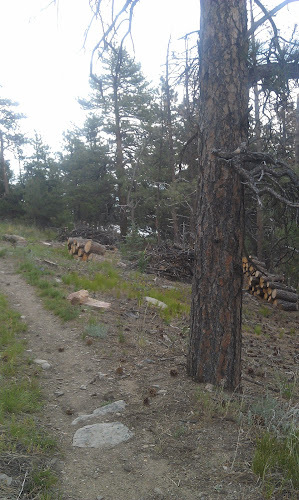 Along the Timber trail I noticed a number of slash piles. All of the land management agencies that manage forests deal with timber issues, such as thinning. Thinning forest stands can be a sound approach for a variety of management goals. Unfortunately, the pine beetle epidemic has been a primary cause for a large portion of thinning plans in recent years. You may have traveled right past many slash piles on any number of trails in the region but not given them much thought. After timber is cut and all of the "slash" is piled up it is left to dry out and await the proper time to burn them under ideal weather conditions, usually during the winter. A side effect of burning slash piles can be extreme localized heating of the soils that causes the top layers of the soil to become hydrophobic, or water repellent. This becomes a serious problem because water is not able to filter into the soil, nutrients are destroyed, and many native plants are not able to grow. A fire scar is left on the land that will, many times, yield to exotic or invasive plants that are able to colonize and grow in the poor soil conditions. To prevent exotic plants from establishing and to promote the growth of native plants, active management techniques must be used to "rip" the soil and break up the hydrophobic layer to seed and establish native plants. Another situation that I noticed was along the Westridge trail where a sizable patch of Cheatgrass (Bromus tectorum) was established right along the trail. Cheatgrass is an infamous grass that initially came from the Eurasia region and is well known for displacing native vegetation, promoting frequent fires, and traveling in the socks and shoes of trail users from one area to another. This annual grass can be very difficult to control and often requires multiple management actions and yearly follow-ups to maintain control. This can be quite a burden on land managers because of how intensive the treatment and monitoring can be. 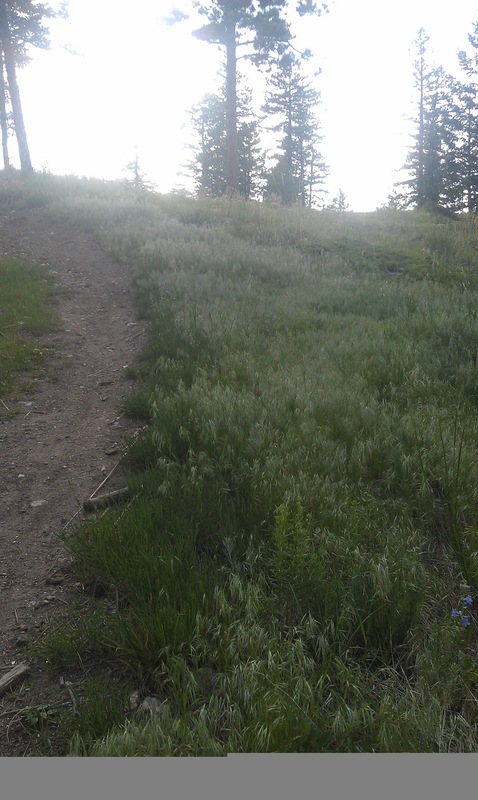 Even with thorough control and monitoring it is extremely difficult to control the spread of cheatgrass because of how easily it moves around with trail use. Take a close look at the picture and avoid walking through any areas of grass that look like this. They are usually dead, brown, and ready to stick in your socks by June or July, if not earlier. Situations like slash pile burning and invasive plants along the trail provide an opportunity for trail users to help the land managers with various management tasks. 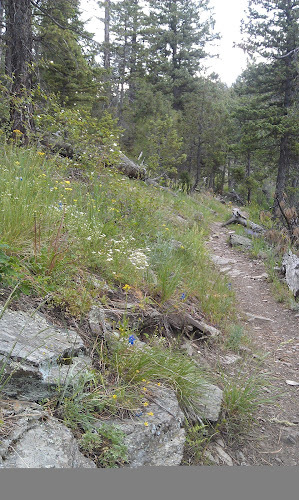 More importantly, recognizing these situations while on the trail can help prevent unwanted spread of invasive plants and allow you to become more intimately connected with the land. 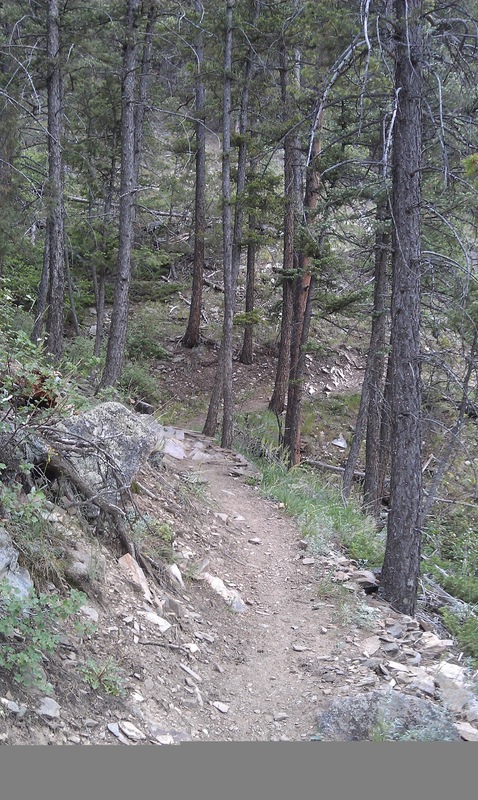 Trailcology wants to bring together all trail users to work on projects like these that make you feel more connected with your trails and provide valuable ecological rehabilitation. 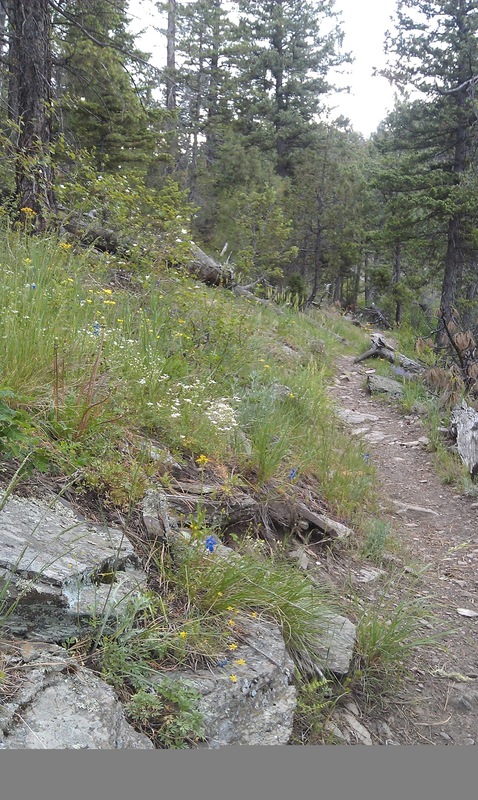 Take a look around on your next hike, run, or ride and see what kind of rehabilitation or restoration might need to be done on your favorite trails.